ImageKind, a Premier Internet Site for 'Buying, Selling, and Creating Art' has (July 10, 2009) featured our poster and print site as one of their Featured Artists. We were selected as one of the first 200 artists so designated among the over 50,000 artists they represent. 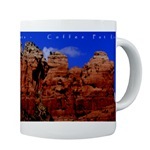 Our sister companies offer a wide variety of mugs, gifts, posters and prints using a number of our scenic landscape photos of the Grand Canyon and Sedona, Arizona including Red Rock Crossing, Bell Rock, Cathedral Rock, Snoopy Rock plus gorgeous scenic landscapes of Red Rocks, canyons, creeks and forests all in the Sonoran desert of the Southwest. 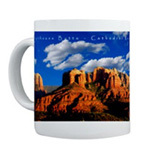 Sedona mugs, gifts, posters and prints are unique gifts to share Sedona's awe-inspiring beauty. Best Sedona gifts under $20, $25 and $50. In addition to the commercial stock photo purchase options found on this site, for non-commercial use we also offer a choice of low-cost disks for use on personal computers as Sedona Screensavers and Sedona Wallpapers. For details and slide shows of the images, the limited license and information on how to purchase your disk, click here. Our standard picture format is .JPG format, although other formats can be supplied if requested. Images will be delivered in 72 dpi for website usage or 300 dpi for print unless otherwise requested. Needs will vary, but for basic pricing and discount options, click here to see our Pricing Summary. 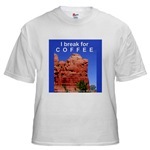 Coming later in 2009, our Stock Photo Images of Monument Valley, Arches National Park, and Bryce Canyon. 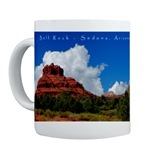 Planning a trip to Sedona, AZ?